All comfortable rooms are en suite with an amazing sea view. 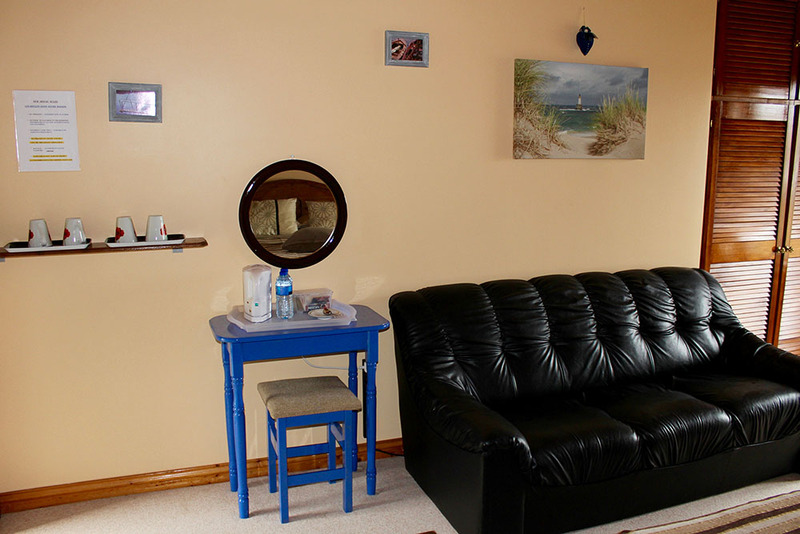 This family bedroom is available with WIFI and hairdryer. Tea and coffee available in each bedroom. Teenagers welcome. Our guests enjoy our B&B as a quiet place, so it is not suitable for children. Variable rates depending on the length of stay. Free cancellation up to 24 hours before arrival. Afterwards, or in case of no-show, the first night will be charged. Check in between 16:00 and 18:30. Check out between 08:00 and 10:00. The property is recommended by Le Guide du Routard, and was awarded a Trip Advisor certificate of Excellence in 2015 and 2016. 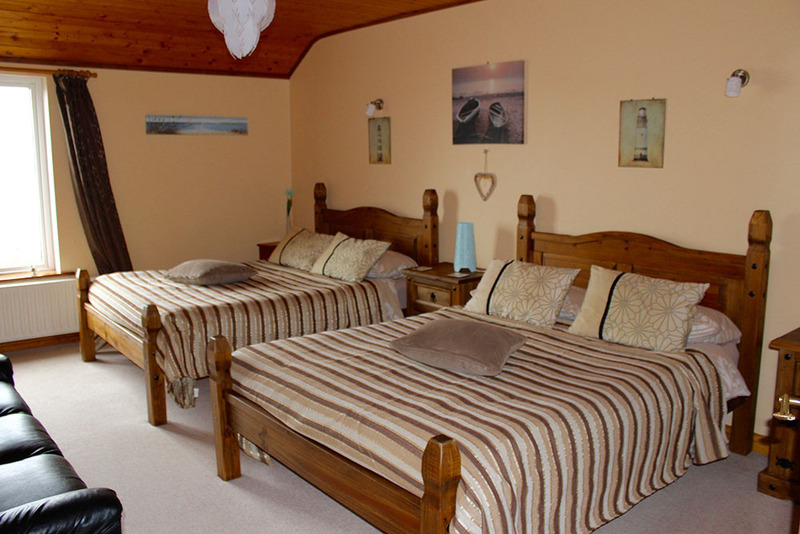 The Waterfront Rest B&B is a beach-front property located on the peaceful Wild Atlantic Way in the heart of Connemara (Sky Road loop). Rooms overlook the beautiful water and free WiFi is available in public areas.